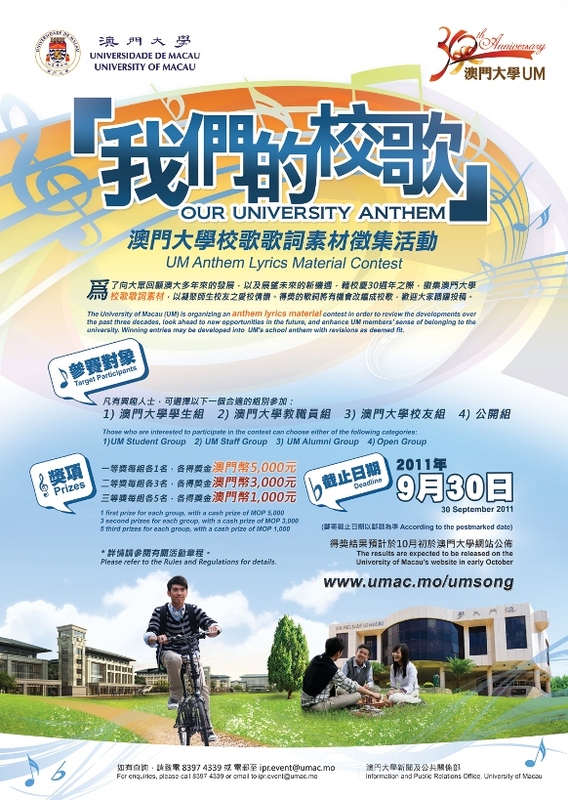 Content The University of Macau (UM) is organizing an anthem lyrics material contest in order to review the developments over the past three decades, look ahead to new opportunities in the future, and enhance UM members’ sense of belonging to the university. Winning entries may be developed into UM's school anthem with revisions as deemed fit. Content The exhibition features about 200 pieces of pictures, which are obtained mainly from the National Library of China and British Library of the United Kingdom, for the first time to be on display in Macao. 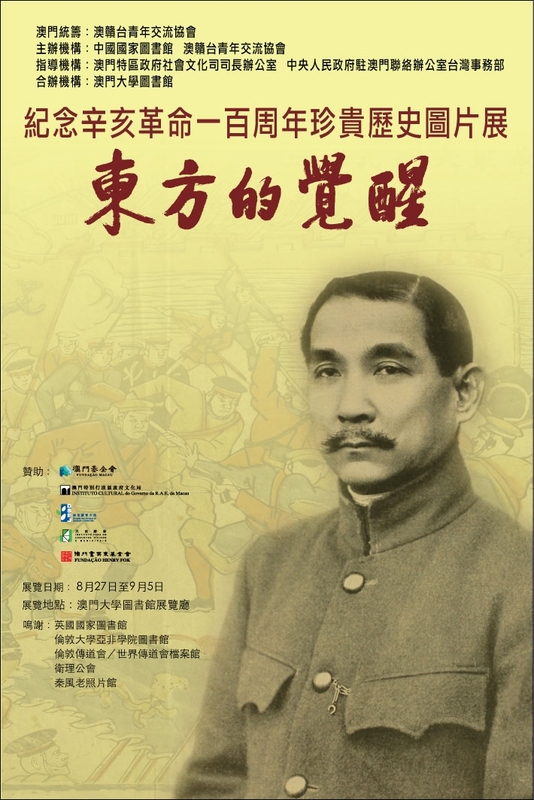 Moreover, there are also some books of UM Library’s collection on the subject of the revolution on show in the exhibition. 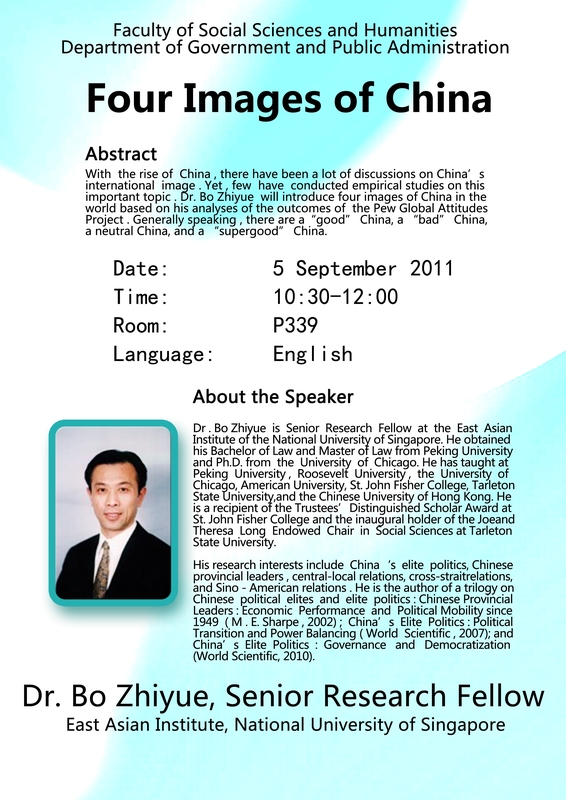 FSH-DGPA seminar: "Four Images of China"
Event Name FSH-DGPA seminar: "Four Images of China"
FBA Seminar Series - "Risk Patterns and Correlated Brain Activities"
Event Name FBA Seminar Series - "Risk Patterns and Correlated Brain Activities"